Our office is located in the downtown heart of Kelowna, two blocks away from the Waterfront and HWY 97, adjacent to the Chapman Parkade. Turn left onto Ellis Street, cross Leon Avenue, turn left onto Lawrence Avenue, turn left onto Pandosy Street. Our building is the second on the right. To access the Chapman Parkade continue on Lawrence, across Pandosy, the entrance is on the left. Turn right onto Pandosy Street, cross Leon Avenue. Our building is the second on the left. 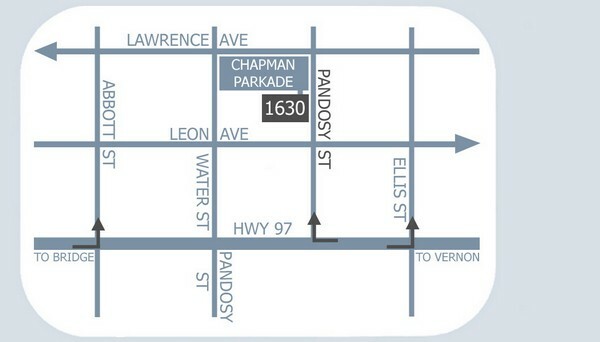 To access the Chapman Parkade continue on Pandosy and turn left onto Lawrence Avenue, the entrance is on the left. 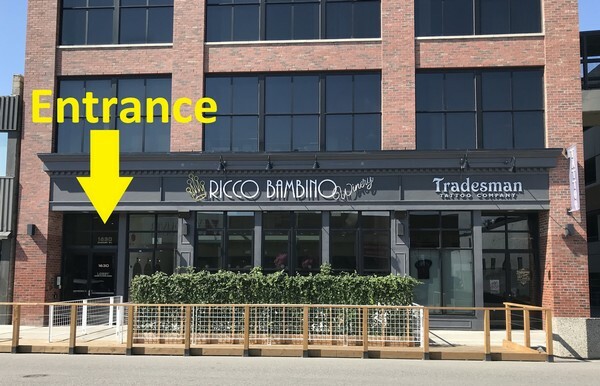 There is metered parking for up to 2 hours available on the streets. Alternatively we recommend one of the street lots or the Chapman Parkade.